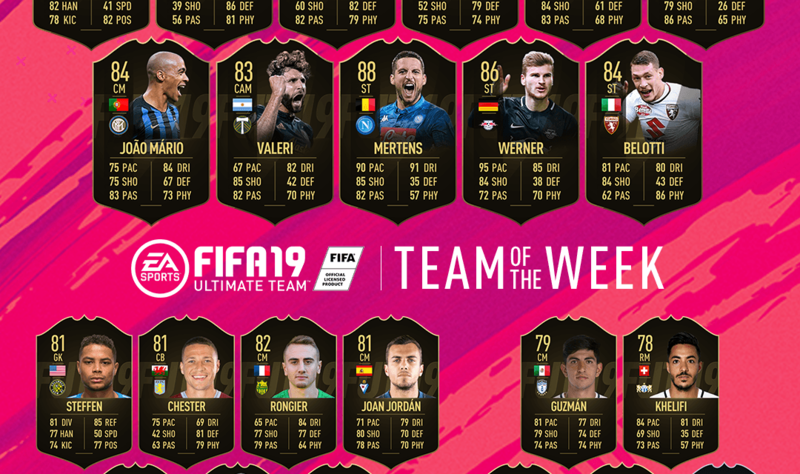 Featuring Dries Mertens, Ricardo Quaresma and more, I take a look at this weeks FIFA 19 Ultimate Team of the week. Ricardo Quaresma get’s his first inform card of the FIFA 19 season thanks to a stellar showing in the FC Besiktas 4-1 win in last weeks Turkish Superlig encounter against Rizespor. Quaresma helped himself to 3 assists and has been rewarded with an impressive card that should delight those of you who get thrills with the skill kings of the game. Stats include 89 dribbling, 86 passing and 85 pace. Throw in the 5* skill set along with 98 curve and 96 crossing and this guy is going to do some serious damage with those deadly crosses into the box and from set pieces. Dries Mertens features after grabbing 3 goals and an assist in Napoli’s 5-1 win against Empoli in the Serie A league clash. 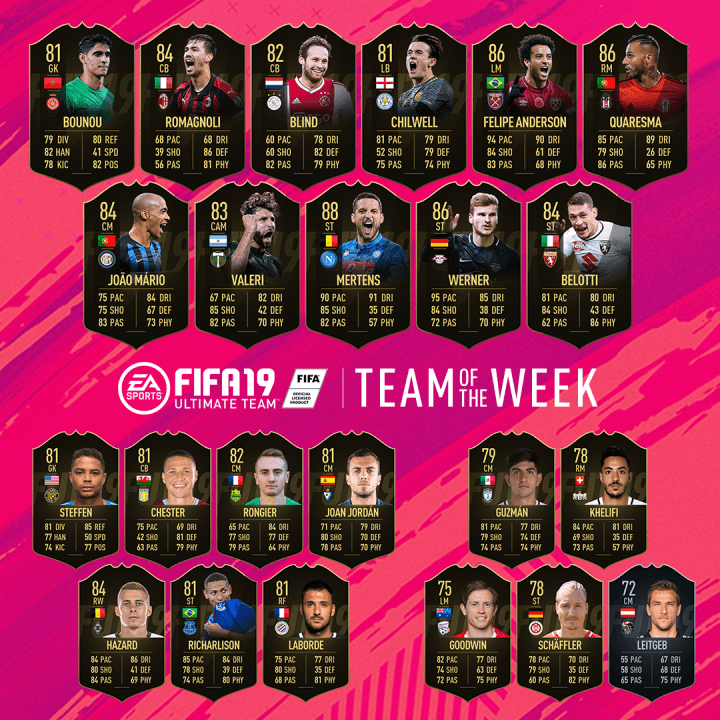 The speed demon has a very tasty looking card and is, without doubt, the best card on offer in this week’s available informs. 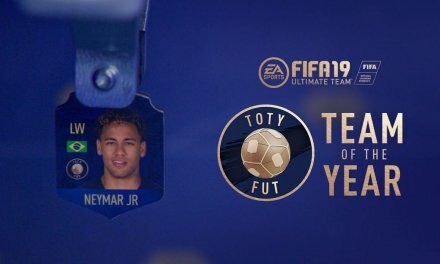 The card boasts 90 pace, 91 dribbling, 85 shooting and 82 passing. 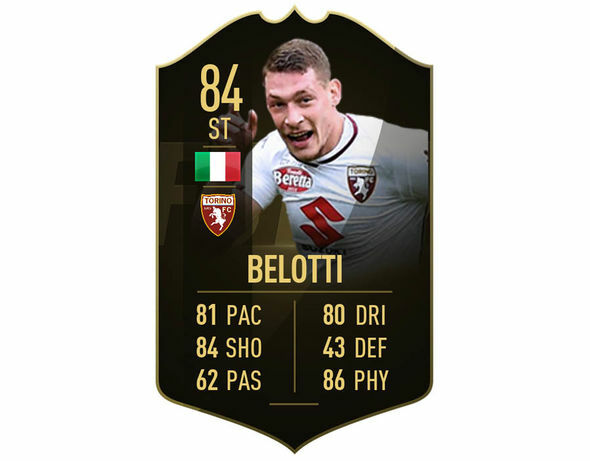 Taking out the only negative aspect of this card which would be low strength, his work rates are ideal and Mertens superb shooting stats will make this card pricey on the market. With exception to Cristiano Ronaldo, this card is the best and somewhat affordable card in the ST role for Belgium/Serie A hybrids. 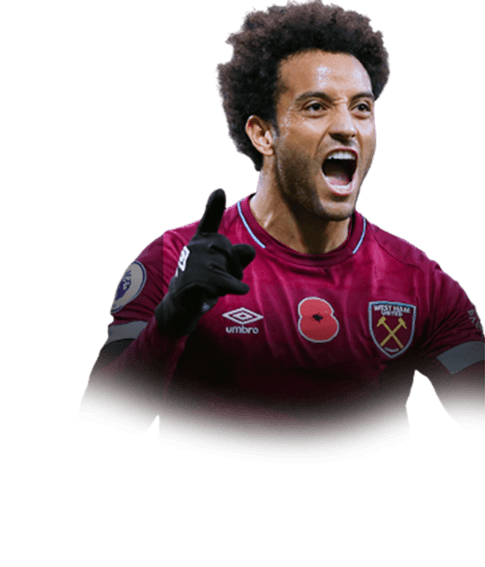 Felipe Anderson get’s his week in the spotlight after an impressive brace against Burnley crucially helping West Ham to a 4-2 win. (More importantly, for investors the special ones to watch card also get’s boosted). The inform card includes stats of 94 pace, 90 dribbling, 84 shooting and 82 passing. Standout attributes have to be the insane long shots rating of 94 included with 94 shot power. Making Anderson most goalkeepers worst nightmare.